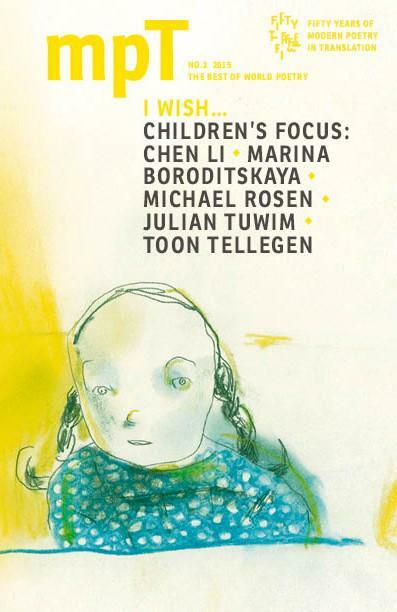 MPT’s summer 2015 issue ‘I WISH’ features a focus on world poetry for children: new translations of poems from Russia, Taiwan, Mexico and Eritrea and more, and some classic poems from Poland by Julian Tuwim. The focus also includes a discussion between former children’s laureate Michael Rosen and Russian bestselling poet Marina Boroditskaya about children’s poetry and the how it is influenced by the state. Also in this issue: Four Burmese women poets in translations by UK-based poets including Kim Moore and Olivia McCannon.